Westside Tile and Stone is the well known leading tile contractor and your nearby tile store in Sherman Oaks, CA for over 13 years. We have been striving to excel in our industry for the past many years and facilitating homeowners and businesses with the most stylish and modern tile patterns. We have a large collection of different kitchen flooring, bathroom, and countertop options for you to choose from. At our tile store, we have in the collection of the most versatile, unique and stylish pattern tiles, stones, and slabs that can give the most classic look to your space. We don’t sell low-quality products. 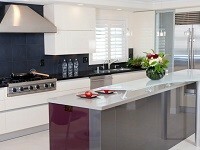 That is why known as the best tile sellers in the market. Our company follows the modern trends of tiles just to make sure we only offer those products that are in and loved by people. The workers at our tile store are also well-trained about the different tastes, ideas and the requirements of the space. 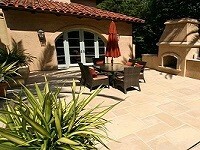 So, all you need is to give us a call and get the most competitive pricing by our Tile Store in Sherman Oaks, CA. We have an extensive collection of wall and floor tiles, modern patterned tiles, stones, and slabs that can give the most classic look to your space. We carry unique, hard to find tile products from natural ceramic tiles and porcelain tiles to durable marble and granite tiles to elegant glass and porcelanosa tile all are offered at the most affordable prices. If you are looking to upgrade your kitchen or bathroom, we have wide range of Limestone Tiles, Marble Tiles, Sandstone Tiles, Travertine Tiles, Granite Tiles, Slate Tiles and Beveled Tiles in Sherman Oaks, CA.